Published annually, the World Bank Doing Business project provides objective measures of business regulations for local firms in 189 economies worldwide. Member firms of the Russell Bedford International audit network, including Russell Bedford KTC Associates (RBK), have again contributed data to the report’s Paying Taxes survey. This year’s report, Doing Business 2016: Measuring Regulatory Quality and Efficiency, shows Vietnam improving its key rankings on doing business and tax regulation – a situation perhaps attributable to recent reductions in profits tax, down from 17 percent last year to 14.5 percent now. Businesses in Vietnam are still having to spend 770 hours per year on meeting their tax compliance obligations, however. While this is an improvement on the 872 hours recorded last year, it is still far in excess of the average 201.4 hours recorded across East Asia and the Pacific. 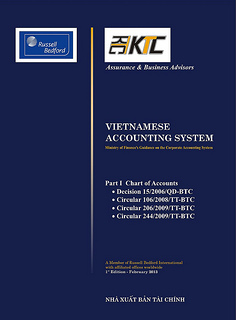 Established in 2006, Russell Bedford KTC Associates (RBK) has since grown to become a full-service audit and accountancy firm, staffed by a team of qualified professionals (including local and international Certified Public Accountants (CPAs)) with experience across a range of industries. The firm’s clients include small and medium foreign invested enterprises, representative offices, Vietnamese joint-stock companies, and not-for-profit organisations. Established in 1983, Russell Bedford International is a global network of independent firms of accountants, auditors, tax advisers and business consultants. Ranked amongst the world’s leading accounting and audit networks, Russell Bedford is represented by some 460 partners, 5000 staff and 200 offices in more than 80 countries in Europe, the Americas, the Middle East, Africa and Asia-Pacific. Russell Bedford International is a member of EGIAN, the European Group of International Accounting Networks and Associations. In addition, Doing Business offers detailed subnational reports, which exhaustively cover business regulation and reform in different cities and regions within a nation. These reports provide data on the ease of doing business, rank each location, and recommend reforms to improve performance in each of the indicator areas. Selected cities can compare their business regulations with other cities in the economy or region and with the 189 economies that Doing Business has ranked. The first Doing Business report, published in 2003, covered 5 indicator sets and 133 economies. This year’s report covers 11 indicator sets and 189 economies. Most indicator sets refer to a case scenario in the largest business city of each economy, except for 11 economies that have a population of more than 100 million as of 2013 (Bangladesh, Brazil, China, India, Indonesia, Japan, Mexico, Nigeria, Pakistan, the Russian Federation and the United States) where Doing Business, also collected data for the second largest business city. The data for these 11 economies are a population-weighted average for the two largest business cities. The project has benefited from feedback from governments, academics, practitioners and reviewers. The initial goal remains: to provide an objective basis for understanding and improving the regulatory environment for business around the world.